Can't believe everything you read. A booze-soaked log of gelatinous candied “fruits” embedded in chewy high-fiber has been unanimously voted the best thing to come out of 2016. Some cited the frantically cheerful colors of the candied fruits trapped within the unforgiving matrix of the stiff loaf like flies in amber as a sign of determined cheer in the face of impossibly dreary odds. Many cited the alcoholic content of the thing, which is sufficiently combustible to power a Ford Fusion for fifteen to twenty miles in case of emergency. 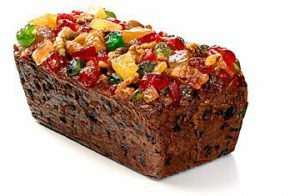 But most cited the grim durability of the fruitcake as its most inspirational quality. Oops! Where Did All These Tacos Come From?